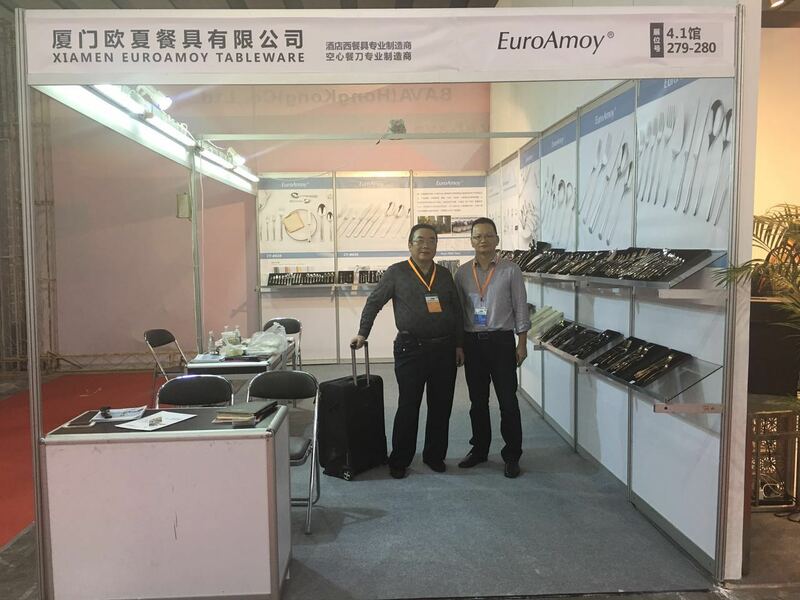 Noticias---Xiamen EuroAmoy Tableware Co., Ltd.
Exhibitor: Xiamen EuroAmoy Tableware Co., Ltd.
Xiamen EuroAmoy Tableware are specialize in the hospitality cutlery made of SS 304 or SS 18/10, with its leading position in the design, quality and technique of hollow handle dinner knives / steak knives, EuroAmoy Tableware are widely accepted by five star hotels and premium gifts and its flatware quality are acknowledged worldly in hospitality industry. 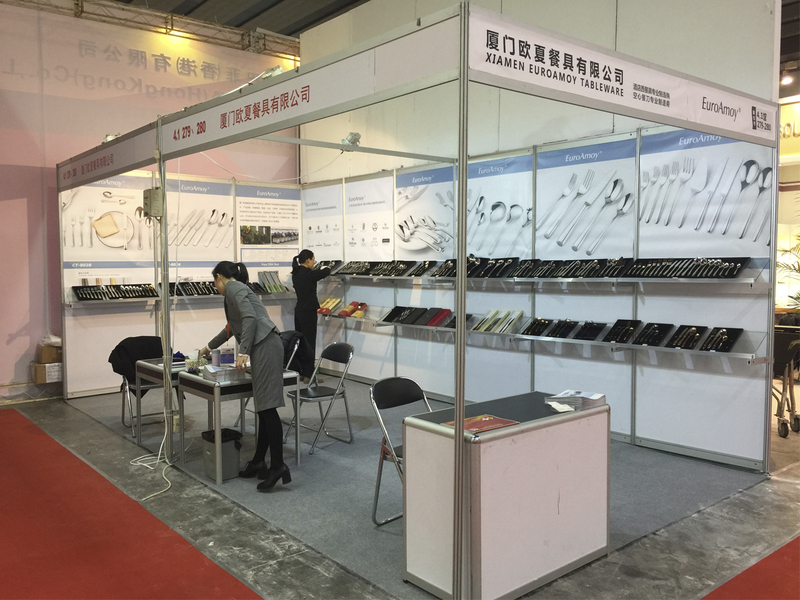 The Guangzhou Hotel Equipment and Supply Exhibition in Dec., 2016 witness its great success of new designs. 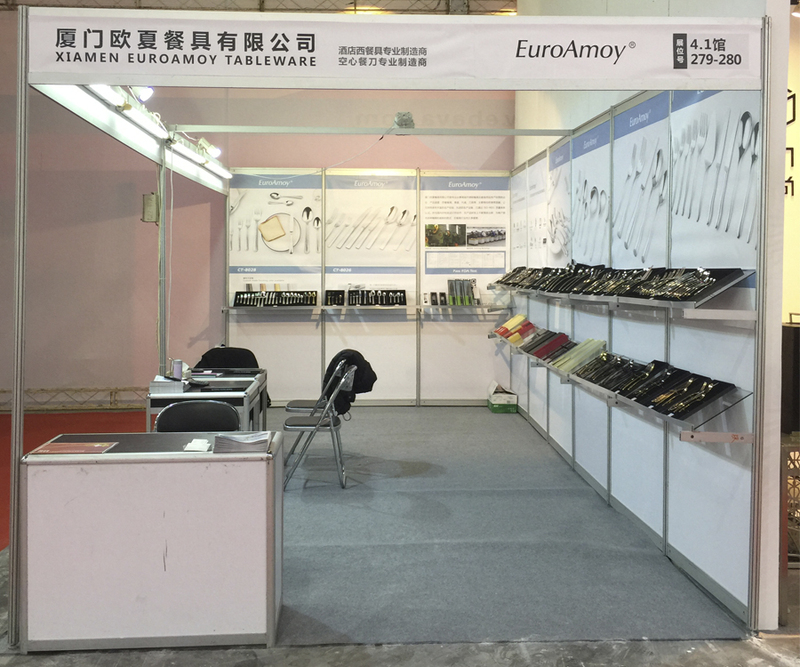 Copy Right © 2013 Xiamen EuroAmoy Tableware Co., Ltd.